This is the archive of the Episode 9 of the TWiT.tv Coding 101 special all about the ISS-Above. The show was recorded at their studios in Petaluma, CA on March 14th and then broadcast on the live programming channel (as a pre-recorded special of course) at 1:30pm PDT on Thursday March 20th. Further information on this episode is here. Thank you TWiT & Padre & Sharon it was such an honor to be invited on to your show! Last Friday (March 14th) I was the guest on a special episode of TWiT.TV’s Coding 101 video podcast. The episode will be played out live tomorrow at 1:30pm PDT on http://live.twit.tv. I’ll be on their live chat if you have any questions. 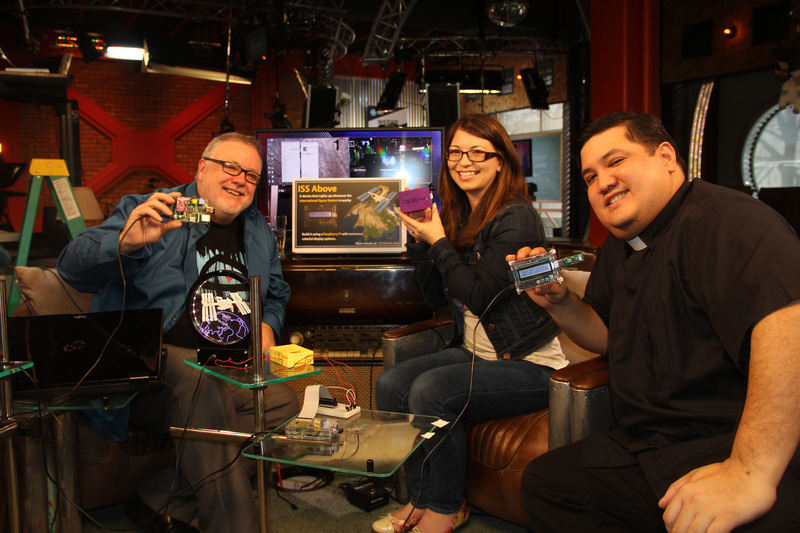 At TWiT.TV studios with the hosts of Coding 101 – Shannon Morse and Fr Patrick Ballecer (Padre). These episodes are usually 30 minutes but it went nearly an hour (we covered a LOT of information). I believe they will be showing it all – and it will be available afterwards as a downloadable podcast or on-demand video on Youtube (I’ll share the link when that is available). A little “backstory” here. I am an avid watcher of the TWiT.TV network – so it was an absolute and total honor for me to be invited up to the TWiT studios in Petaluma,CA. I enjoyed every second I spent up with TWiT and I hope I get invited back. I met Patrick Norman briefly at the studios of TWiT.tv in Petaluma, CA last week when I was being interviewed on a special feature show all about the ISS-Above. 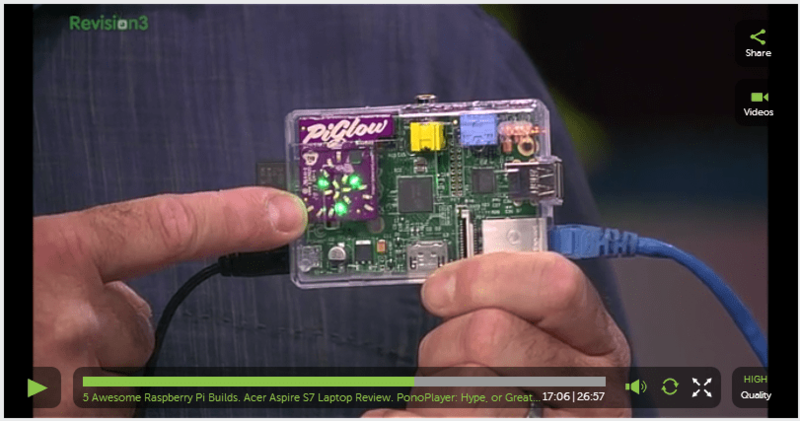 Shannon Morse was the co-host for THAT show on TWiT and was so inspired by the project that she wanted to feature it on Tekzilla as one of these 5 Awesome Raspberry Pi tricks. The ISS-Above is featured 2min 33sec in to the show. I particular loved Shannon’s passion and interest in the whole ISS-Above project and I love how she showed almost all of the features including the web site app I built on the Pi. 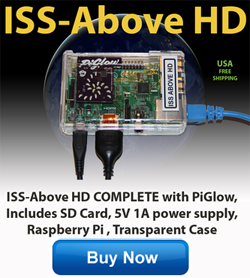 Following the nice review/mention of ISS-Above by Leo Laporte (The Tech Guy) on his show on Sunday Feb 2nd I have been invited to be a guest on a special episode of the Coding 101 show. I’ll be driving the 400+ miles from Pasadena to Petaluma, CA in the morning which is where the TWiT.tv studios are located. This will be a 30 minute show that is being “pre-taped” this Friday (14th March). The show is usually broadcast live each week on Thursday at 1:30pm PT but next weeks show (featuring ISS-Above) will actually be taped this Friday at around 2:30pm PT. The Coding 101 hosts, “Padre” (Fr. Robert Ballecer) and Shannon Morse, have featured projects with the Raspberry Pi platform before – so this is no stranger to the TWiT.TV studios. Padre will be grilling me on all aspects of the project and how I came to choose the Raspberry Pi platform and we’ll be going over the entire development process and launch through Kickstarter. Even though we are just “taping” this show to be officially played out next week – you can actually “tune in” to the live “taping”. Just head to http://live.twit.tv/ shortly before 2:30PM on Friday and you should see all the shenanigans. After this show Padre has also invited me to be on a little 10 minute segment of the Know How show. Can’t get me enough of TWiT.TV! Well… actually I am speaking and presenting the ISS-Above at the March 2014 monthly meeting of the Los Angeles Astronomical Association. The meeting is on Monday 10th from 8pm to 10pm at the Leonard Nimoy Event Horizon Theater. My presentation will be for 30 minutes. 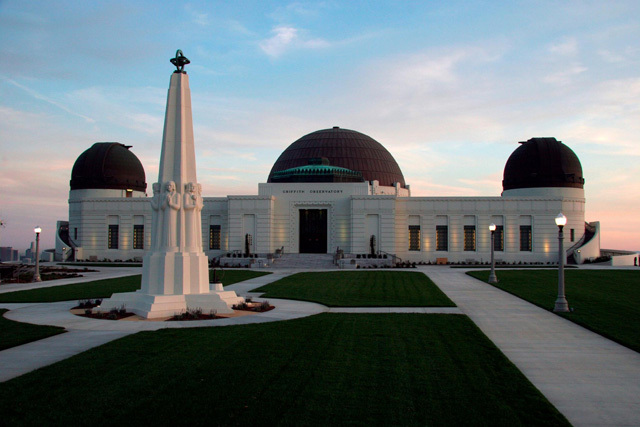 Although the Griffith Observatory is closed on Mondays.. it is of course open for this meeting. When you arrive… just mention you are a friend of the presenter (that would be me of course).